Thomas Alva Edison High School in North Philadelphia. 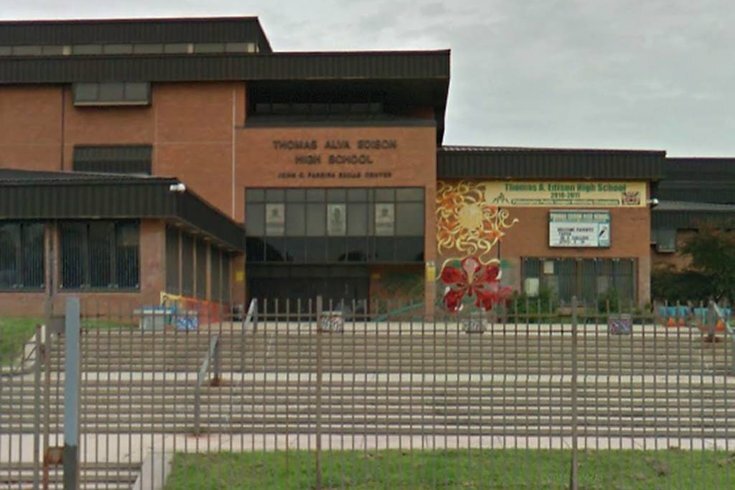 Thomas Edison High School in North Philadelphia is on lockdown following a report of a possible weapon inside the building, NBC10 reports. Investigators have told NBC10 the school went into lockdown at around 10:40 a.m. Thursday, and, as of 11:30 a.m., it has remained in effect. Police are reportedly still searching the building, located on West Luzerne Street, and so far, no weapon has been recovered. Read the full NBC10 report here. This is a developing situation, check back for updates.